Think Thank Technology Institute represented by Alagie S. Jaiteh has sign a Memorandum of Understanding (MOU) with BIS Group of Institutions, GAGRA (MOGA) in India on Education, Science and Technology Co-Operation. The MOU is driven by the desire to strengthen their relations based on mutual understanding of the two parties and to promote Gambia’s human capital development through higher education training, herein agree on scholarship programs and recruitment of students from Gambia for studies at the BIS Group of Institutions, Gagra (Moga). 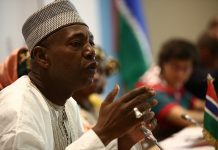 Jaiteh said the Indian base university is trying to decentralize in West Africa with a branch in the Gambia and he is the West African representative with more than twenty (20) colleges in India alone. The Co-operation in the field of higher education training and recruitment of students the aim of the higher education training program is to produce highly skilled and trained human capital anchored on science for the socio-economic development of the Gambia. Dilating On the scholarship award, he said admission is currently for and both English and Arabic students can apply and if the requirements are met the university shall offer scholarship equal to half the tuition fees (50%) for in all programs. He added that medium of instruction for the studies shall be English and the scholarship shall be offered at BIS Group of Institutions. However Jaiteh encourage all students to apply saying even if your results is poor they still consider you whereby they recruit you for six (6) months before proceeding to the main university. He stressed that when it comes to training and recruitment of nurses Gambia is definitely lacking behind compare to that of India whereby all the facilities and equipment’s are available and are up to standard. He assured that after acquiring your certificate you can work any were in the world because the university is well recognized globally, he confirmed. He noted that students receiving a scholarship from BIS Group Institutions must be enrolled fulltime and maintain a cumulative 6.0 grade point average (gpa) to continue to receive their scholarship. The 35year old young man is a graduate from the said university; he studied animation and multimedia for three (3) years. Courses the offered; Tech. courses, Science & Technology Courses, Diploma Courses, Pharmacy Courses, Management Courses, BIS Collegiate School and Paramedical Courses.